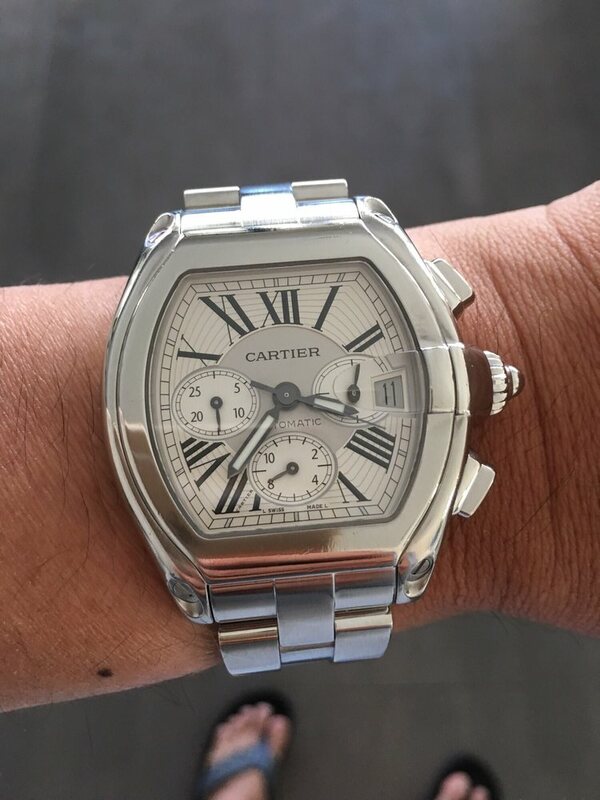 Watch, Clock, Jewelry Repair and battery replacement service center in the heart of Tustin, Irvine, Anaheim, Newport Beach, Los Angeles, California. Over the weekend, I accidentally dropped my Fiance's Engagement Ring and we needed to get it fixed ASAP. Seeing the great reviews for Time Palace Jewelers, we decided to go there to see if they could help repair the ring. After arriving at Time Palace Jewelers and speaking with Al and his son, Richard, we found out that the prongs on the ring were bent and the diamond needed to be re-set. For a proper re-setting of the ring, it would take about 3-4 days. As it was my Fiance's engagement ring, we were concerned about leaving the ring with a store for 3-4 days. After just picking up the ring today, these concerns were completely unfounded. Al and his son, like so many other yelp reviews have written, are incredible people. They are patient, honest and trustworthy. They simply know that this is how businesses are supposed to be run. Especially with an engagement ring, it is incredibly important to find the right people who know what they are doing and Al and his son definitely fit that category. Al made sure both my Fiance and I took a good look at the ring under his microscope, made sure to properly map the diamond (so we know it's ours) and taught us how to recognize our own diamond so no one can try to lie to us. My diamond was also GIA Certified so he made sure that the number was clearly written down and verified by us personally. Al also made sure we matched up the number when we picked it up to ensure we had our ring. If you happened to drop your ring like we did, Time Palace Jewelers is the right place to go. There's a reason he has so many great reviews. Incredible personal service by the owner Al himself! I found him on Yelp and first brought in a 2002 automatic Blancpain which ran fast. He serviced it and got it right in a couple of days! I was so impressed I next brought in my late father's dress Rolex which I don't believe had been serviced in 40 years. Al took care of it at one- third what the Rolex dealer would have charged me. I know, I have had the dealer at South Coast service my watches before. Then, I thought he could do something different and he did: ultrasound cleaned a 150 year-old silver plaid brooch immaculately. Al is a serious high-skilled craftsman proud of his work. No nonsense, gives full technical explanations which I thoroughly appreciate. Happy to have found this place! Wonderful place. Had bought some silver bracelets up in the central coast area when I was visiting over Christmas. Massively on sale, but way too long and falling off my arm. Took them one place up there-they wanted $60 and at least two weeks. No way. Found Time Palace Jewelers on google and went there recently. Fabulous service and same day service. Price was a fraction of what they said up north. Very friendly, so professional. Wonderful and will return with the other bracelets! Thank you!